For moms going back to school, some advice. The older I get the wiser I get, yet I also get more cynical. As I’ve written I’ve started a Pharmacy Technician program that is mostly online, with some travel to labs at the campus, and a couple months of practicals. All good so far. Should you cheat on a test? If you can get caught – no. We had a test the other day, on abbreviations, and a lot of these tests are done on the honor system. This means that although we are at home, we will not cheat. I decided that I would treat this as a real test and not cheat, even though I knew I was missing some right answers. I got a 75% on this test, meaning that I failed it, as an 80% is needed to pass. The instructor tells me that I will have to redo the test. Okay. But I also get a letter of Academic Probation. Excuse me? With further discussion, he tells me that one other person failed, and I told him that I guess he knows who the honest people are. I’m getting a bad feeling about this. I study again, the list of abbreviations they have on their site NOT the ones in the book (“because we don’t use all of those”). I have them all memorized, I rewrite the test, and get 96%! I am happy, there is hope for me. It’s really better to just study, cheating can get you expelled from the program. I get another letter telling me I am no longer on Academic Probation, and that this final mark for this is test will be written as 80%!! This is the mark you get when you do a rewrite! #@(&!! So now I am sad and mad. I am sad that I now have a letter of Academic Probation in my file FOR GETTING A “C”! I am sad that I am now labeled stupid & lazy (by myself? by them?). I am mad because I know other people cheated. I am mad because I know that the odds that not one of them cheated are astronomical. I am mad that the cheaters do not have an Academic Probation letter for cheating. Mostly, I think I am mad at myself FOR NOT CHEATING! I assure you this, it won’t happen again! Think about the end result here. 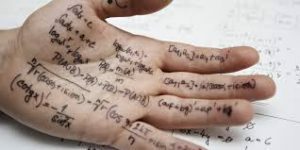 Those cheaters probably wrote down the ones they didn’t know to make sure to memorize later. 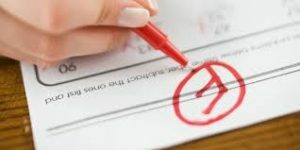 So now the cheaters will all appear to score in the 90’s, and when real test time comes at the college, sure their scores could be down, but that will be justified by one of two things, that they cheated earlier, OR that the stress of a real test made it hard to think. It’s a win-win for the cheaters, and academic probation for the honest. When the hell will I ever learn? And is it harder to learn as a single parent, read more here. Good, or funny, article on how some students have cheated in the past on tests. But seriously, who wants to get caught? I got my high marks, that’s right, me the old single mom, five years ago I got 92% on my final, and on the health care assistant program, I got 96% – the highest in the class. Fact is, I couldn’t have done it without Quizlet.com – a new career saver.